A team of researchers from Seoul National University built a pedestrian-following service robot to drive smart shopping carts and other autonomous helpers. 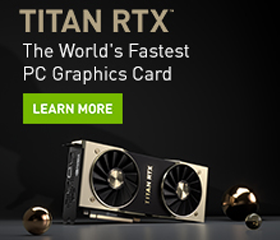 The performance of their initial CPU-only implementation was “not acceptable for a real-time system” so they now use a GPU-accelerated CUDA implementation for a 13x performance boost. Mobile robots that track a person have received considerable attention for a number of applications such as transporting loads, and serving customers – but in general, the robots have limited range sensors. The smart shopping cart robot application. The person with a blue shirt is a target and a mobile robot with a gray basket is a shopping cart. The tracking algorithm created by the team minimizes both the probability of losing a target and traveling distance of the target. By considering the distribution of predicted position of a target, they get robust performance against the uncertainty of prediction. Besides the shopping cart, the researchers tested the operating system on a selfie robot (which can also be used as a care robot for seniors) and a transporter robot.